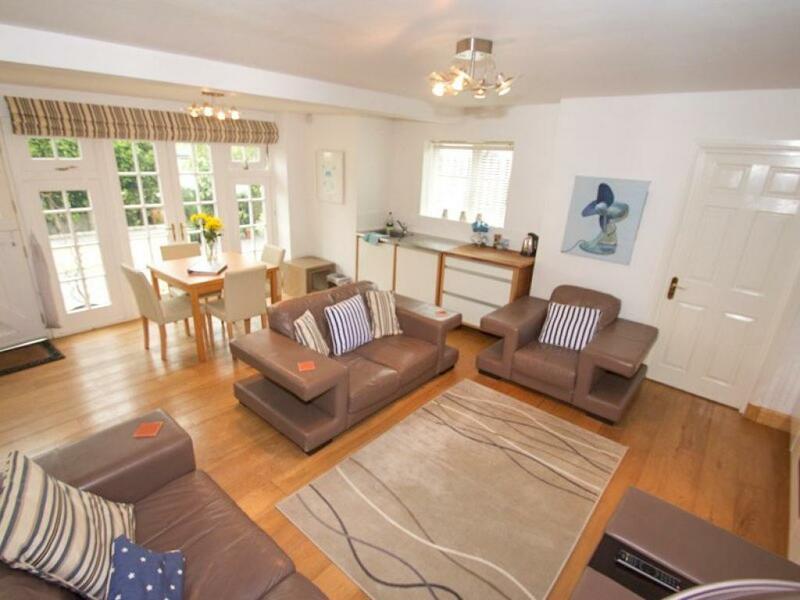 For those who enjoy a spacious layout and lots of home comforts! 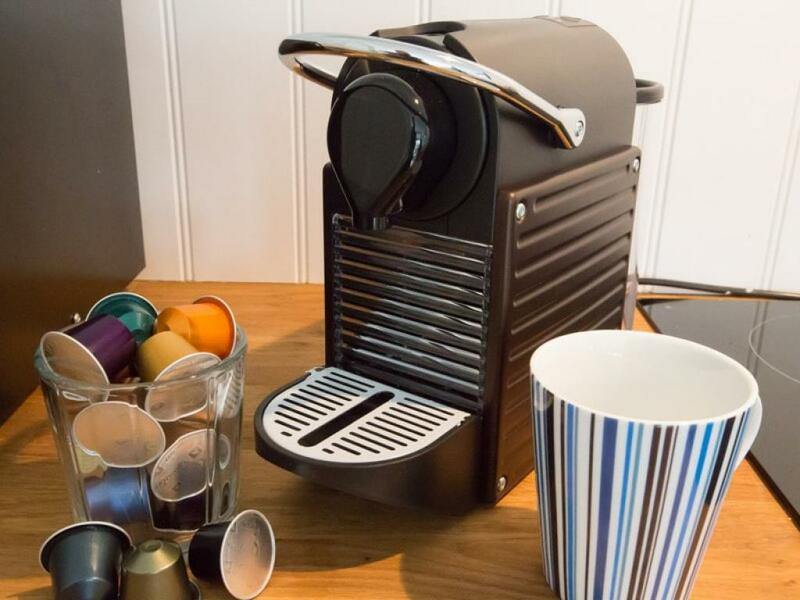 This serviced 2 bedroom apartment has oak floors throughout with under floor heating, oversized patio windows, is light, airy and colourfully decorated through out with orginal artwork from local artists. 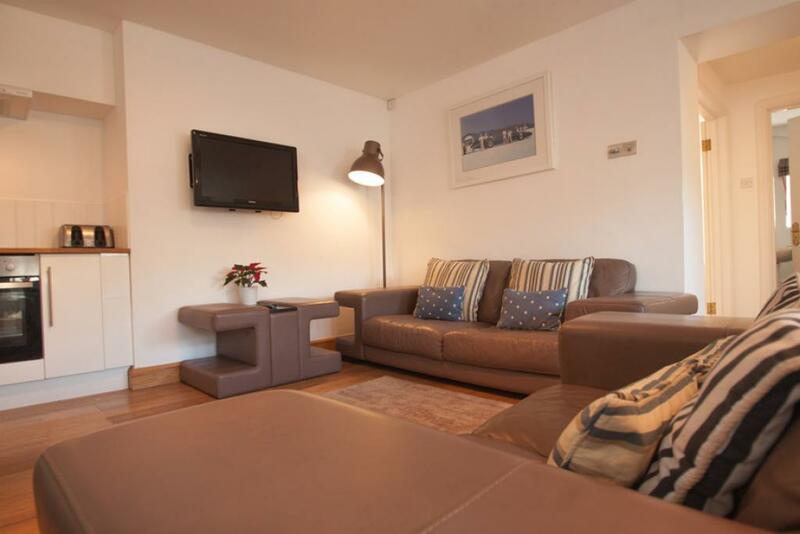 There is a large living area with 2 big leather comfortable sofas and a 55" flat screen SMart TV & free Wifi. In this open plan living area there is a dining table which pulls out to seat up to 6 persons . A more comprehensive kitchen area includes all the basics as well as full oven, microwave, fridge and induction hob together with all crockery utensils etc. 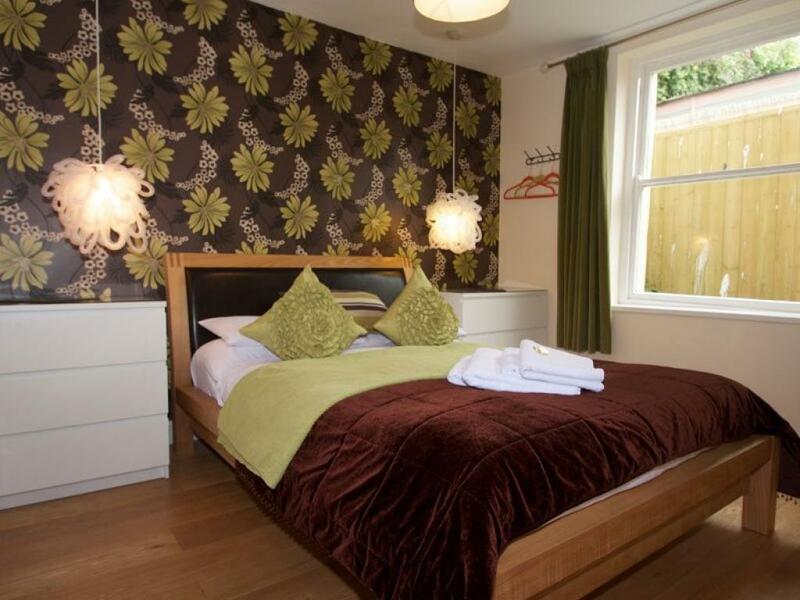 The main double bedroom with a 2000 sprung pocket mattress which is exceptionally comfortable. White cotton linen, duck down duvet and pillows and fully black out curtains to ensure you are well rested during your stay. 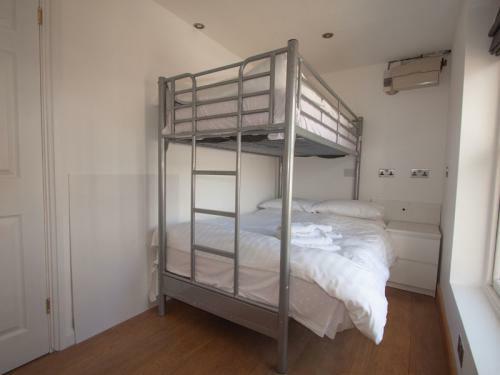 The second bedroom has a flexible arrangement with a double bed below and single bunk style bed above. The bathroom has a shower with plenty of hot water, sink toilet, towels and basic toiletries provided. 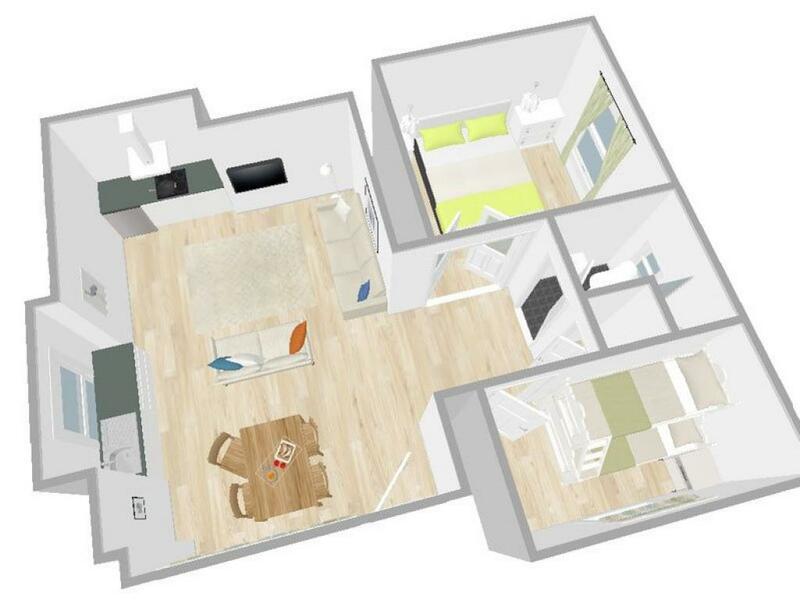 Room 4 is a great option for a family room in Dartmouth or for friends traveling together. For larger parties, book additional en suite bedrooms, which are located upstairs. Apartment 4 is accessed from Lake Street. There are 12 steps leading up to the property, (similar to an average staircase leading to a first floor). Apartment 4 is located on the ground floor. As with all our Just B accommodation in Dartmouth this room is Room Only and offers Bed no Breakfast in Dartmouth. Enjoy the freedom of having your breakfast at any one of Dartmouth's great Breakfast cafes - there's lots to choose from. Most importantly you can enjoy breakfast wherever and at whatever time you like! 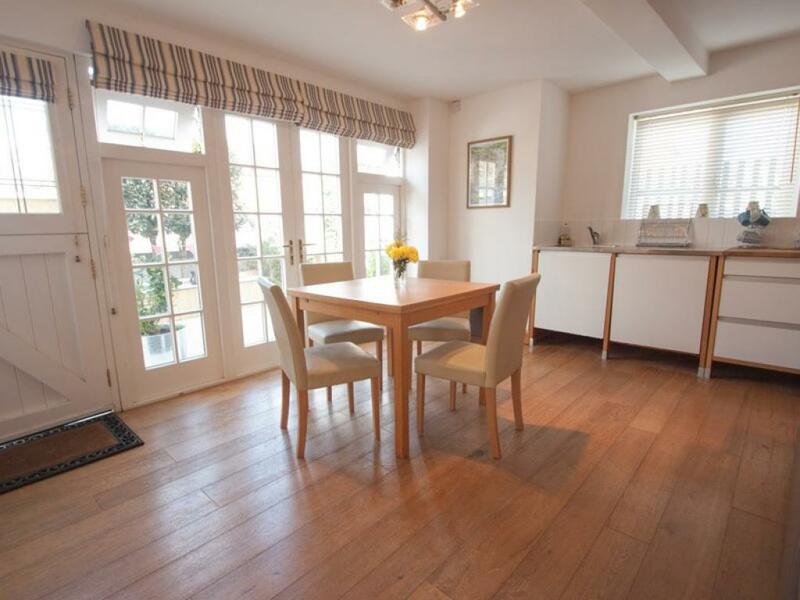 This awesome 2 Bedroom apartment enjoys a spacious, social, open plan kitchen living dining area. Modern and light with all mod cons, Large 55” smart TV, free wifi, leather sofas, Oak floors, well equip kitchen and extendable dining table. Double doors lead through to the main double bedroom with funky wall paper and most importantly a very comfortable bed! The second bedroom has a flexible arrangement with a double bed below and single bunk above. There is one bathroom at the apartment which includes a standard size shower with of course plenty of hot water. Apartment 4 occupies the entire ground floor of St Elmo Cottage, which is a sympathetically modernised 120 year old detected property. 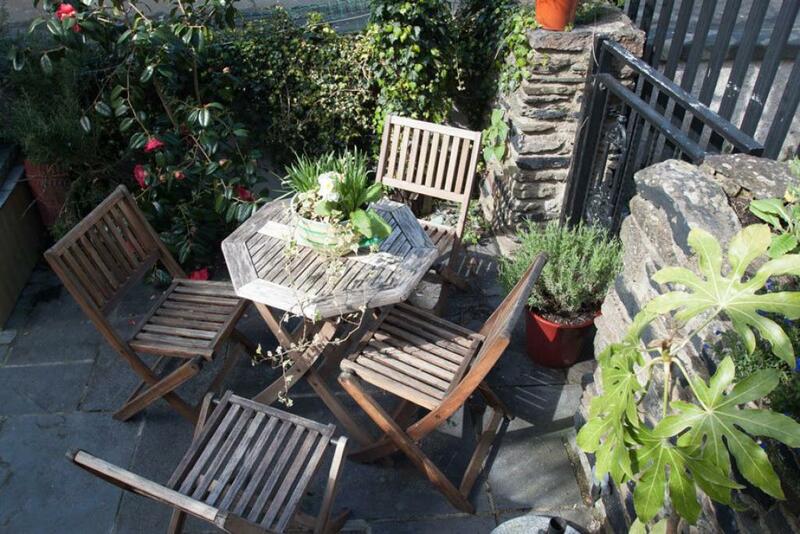 Located in a tucked away private setting, yet incredibly central location. 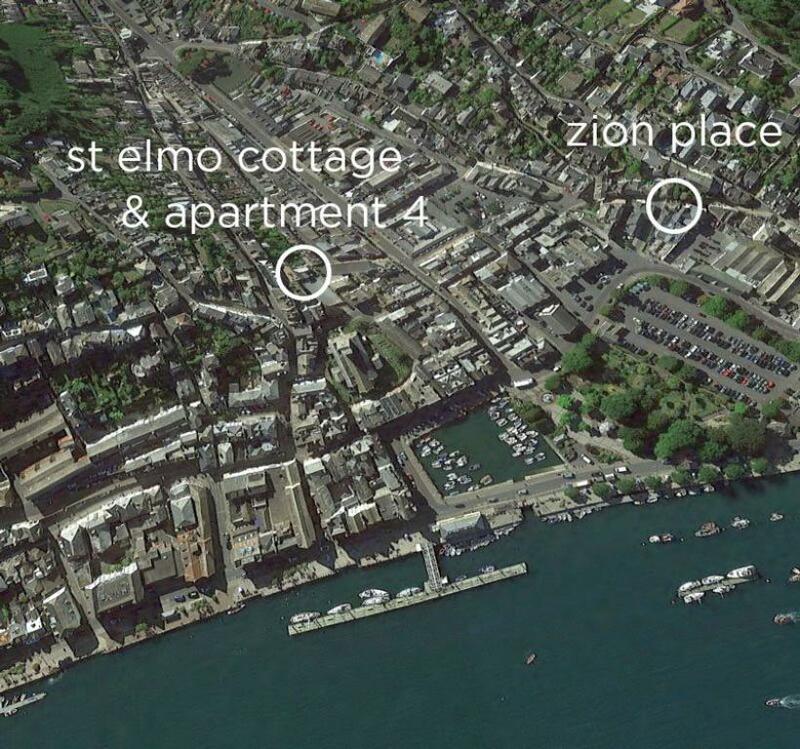 Easy access to all of Dartmouth’s bars, restaurants and shops. There are 12 steps up to the cottage from Lake street. Guests are invited to make use of the outside patio although this also provides access for other guests at the property. This apartment will accommodate from 2 - 5 persons by arrangement. Great family room or for friends traveling together. For larger parties, book additional en suite bedrooms, which are located upstairs. Key features include: Oak floors throughout with under floor heating, oversized patio windows, light, airy and charming!